The worship of various forms of nature was widely spread across the world in the pre-Christian era. This was the period where human beings “knew” that they were a part of nature and that the their well-being was integrated in the well being of nature. The post Christian era termed these people as pagans. The Christian crusaders declared war on all of them, calling them as heathens, (worshippers of Satan) , destroyed their cultural symbols and killed millions of such nature worshippers. The remnants of these pagan religions spread across the world acknowledge the contribution of Hindu thought. 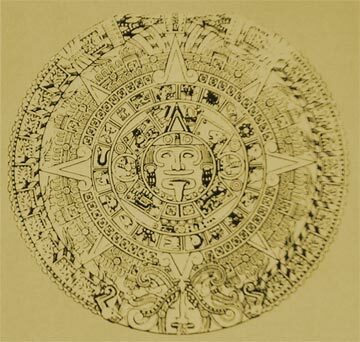 For example, in Mexico the time scale followed by the pagan religions is that of our Yugas. They also follow the rashi and sankraman as followed by us. In the Greek and Roman civilizations also we find numerous references to devatas and they were inspired by Hindu culture.. In the recent World Hindu Congress, the Dalai Lama said “ We treat Hindus as our elder brothers. 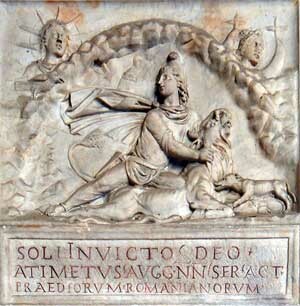 Surya or Sun-worship was also prevalent in a large scale across the Roman civilization. This was termed as “Mitra-ism” ,i.e. Worship of Mitra- the Sun God. Dec 25th was dedicated to the worship of Mitra even 300 years after the so-called birth of Christ. 2000 years back, this was to commemorate the beginning of Uttarayana kala. This process of hijacking of pagan symbols and days that were popular was rampant. In fact even today we see this happening in Bharat as well. Words such as Temple-church, garbha-gudi, Dhwajstambh, Bible-Veda is seen in Christian literature being circulated in Bharat today. Needles to say this is a topic which the Hindus of today need to be sensitised upon. All Hindu festivals have a close connection to nature and the changes that occur in it. There is invariably a scientific connotation to it as well. Across all sections of our society, we notice a cultural continuum while observing the festivals. For example, Jyotish Shastra is a Vedanga which is primarily a study of astronomical movements of planets and the astronomical world. The application of this knowledge is extended among various vocations. For example, the farmers plan their farming based on “ Karthis”. Celebrations of Samuhik utsavs like Kumbh / Pushkars show that cutting across sections, the knowledge of basics of Jyotish shastra is present even in remote villages from where people come for these festivals. This means that both pure sciences and applied sciences was prevalent across the society. This is possible only when there is harmony in society and the culture of knowledge sharing. This resulted in the overall development of all sections of society both in terms of culture and scientific education. While the society was progressing in terms of culture and education, the Hindu society had to face repeated invasions for 1000 years and in the process, some rigidity crept inside our society resulting in some situations of dis-harmony among groups. This was being exploited by some anti-Hindu forces. 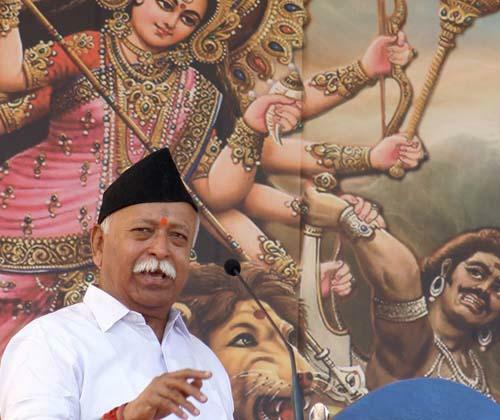 However, due to the continuous work of Sangh swayamsevaks and various other well meaning Hindus, we are seeing a Hindu resurgence. But, there is bound to be a feeling among people that now the government will do everything and we can relax. It is practically impossible for government to ensure that social harmony in society is brought out. Our country is based on Dharma and not law and therefore it is Dharma that will unite the nation. The challenge before swayamsevaks and Hindu society at large is to see how to put the principles of Dharma in action and ensure that the differences in society are overcome. The swayamsevaks will need to play a great part in this. c .Temple entry for all Hindus. Swayamsevaks and society at large have to work towards ensuring that this minimum yardstick is achieved in all villages and towns. In cities, the above points maybe seen and there may not be much discrimination related to that. However, respect for many vocations and trades is very low. For example, the way we treat our sweepers, bhangis, cobblers, coolies, etc leaves a lot to be desired. Basic education to our family members to treat these vocations better is needed. Lokmanya Tilak famously asked,” You create the filth and he cleans it. Who is greater ?” A disdain for vrittis ( vocations ) is seen in society at large. This is forcing large sections of societies to abandon vocations in favour of jobs like peons and office boys in company’s etc. This is another reflection of how we are treating our own traditional vocations and a symbolic of our diffidence. The recent examples of violence of women is a cause of concern. Swayamsevaks have to lead the way in showing the world how to treat the women. Swami Vivekananda laid great emphasis on the education of women which is not just literacy but cultural education as well. An educated woman ensures the education of the entire family. He indicated that when the women of our country was treated well, we became Jagadguru. We fell when the position of the women fell. The way the Grahini is treated is a testimony of the culture of society and how the basic cultural unit of our society, viz the family functions. It is the family which enables the individual to face the various challenges posed either cultural or religious. A string of strong families ensures a strong society. We need to work to ensure that the environment for families to thrive is created. 1.Contact atleast 8 families surrounding our homes and wish them. 2.Visit the nearest slum with family and visit the local temple there. Also visit a few families in the slum and wish them. 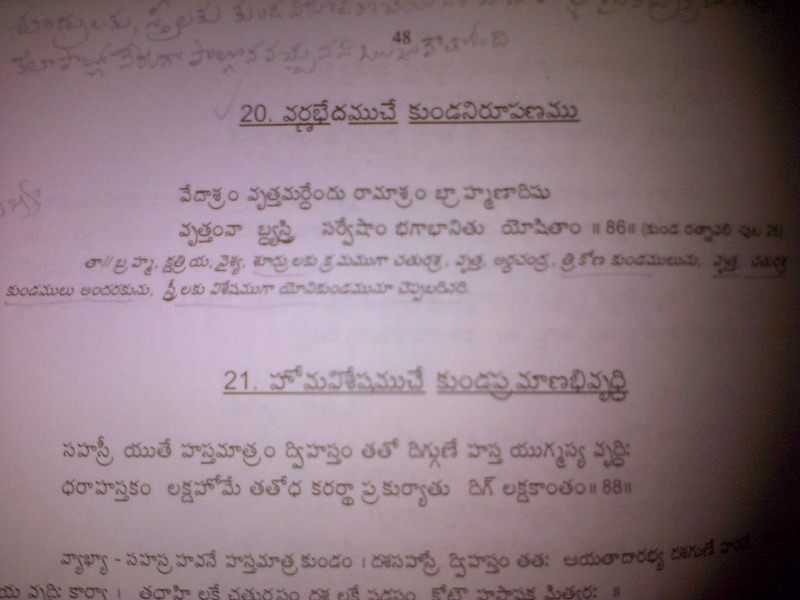 3.Organise or attend a program for youth on occasion of Vivekananda Jayanti ( viz Makara Sankranti ). Also ensure we are part of the Sankranti Utsav in our area. 4.Resolve to read a Hindu Dharma granth for 10 mins every day. 5.Join hands towards Samajik Sadbhavana and Samarasta initiatives in our area. Makara Sankranti is the occasion which symbolises harmony of nature. 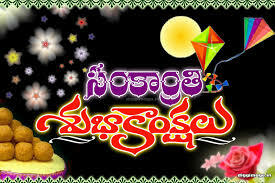 We offer sweets of sesame (til) and jaggery (gud) “ and while giving it to each other say Nuvvulu bellam thini..theyyaga madlaadu” in Telugu, “Til gud gya god god bola “ in Marathi etc..The festival symbolises harmony of society. Let us take such steps forward to ensure a harmonious atmosphere in our residential area and our work place. This entry was posted in Hindu Dharma, Nation, Social Issues and tagged Bhogi, Hindutva, Makara Sankranti, Pongal, RSS, Sankranti, Uttarayan on January 14, 2015 by arisebharat.